New York (August 22, 2017) — Tiffany & Co. introduces a new watch collection for women—Tiffany Metro—a perfect synthesis of fine jewellery design and unparalleled Swiss craftsmanship. 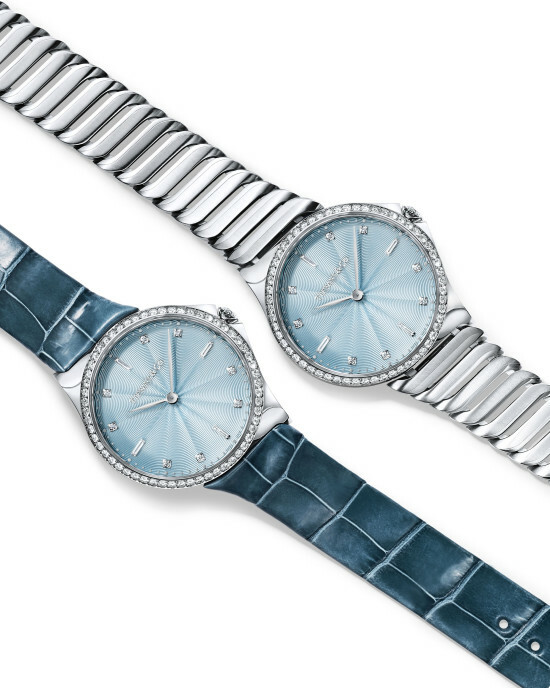 Echoing Tiffany’s diamond legacy, each timepiece features a unique round brilliant diamond crown that is assigned an individual serial number, making each watch personal to the wearer. With clean fluid lines that evoke the pace and energy of New York City, the new Tiffany Metro collection is the perfect expression of elegance and authenticity. The Tiffany Metro watch redefines the past to reflect a unique design for the contemporary woman, offering a range of stunning dials, cases and straps as well as the refined curve of the stainless steel bracelet. The array of design details present the wearer with style options to suit any occasion day or night. “Our horological history began in Geneva, Switzerland in 1847, and today we continue this tradition of craftsmanship by introducing the Tiffany Metro timepiece—its beauty lies in the superlative pedigree of Tiffany diamonds,” said Nicola Andreatta, vice president and general manager of Tiffany & Co. Swiss Watches. TIFFANY, T&CO., TIFFANY & CO. and TIFFANY METRO are trademarks of Tiffany and Company and its affiliates.